A group of drag queens—clad in feathered boas and wigs—gathered at a stretch of the U.S.-Mexico border in Texas last week to protest construction of President Trump’s border wall. Lip-syncing to the tunes of Lady Gaga, they hoped to raise money in support of LGBTQ asylum seekers. Many LGBTQ people seeking asylum in the United States flee their homes in Central America due to gender identity- and sexual orientation-based violence. The epidemic is acute in Honduras, Guatemala, and El Salvador—countries with some of the highest murder rates in the world—as LGBTQ people are overwhelmingly the victims of brutal violence carried out by gangs and local police. 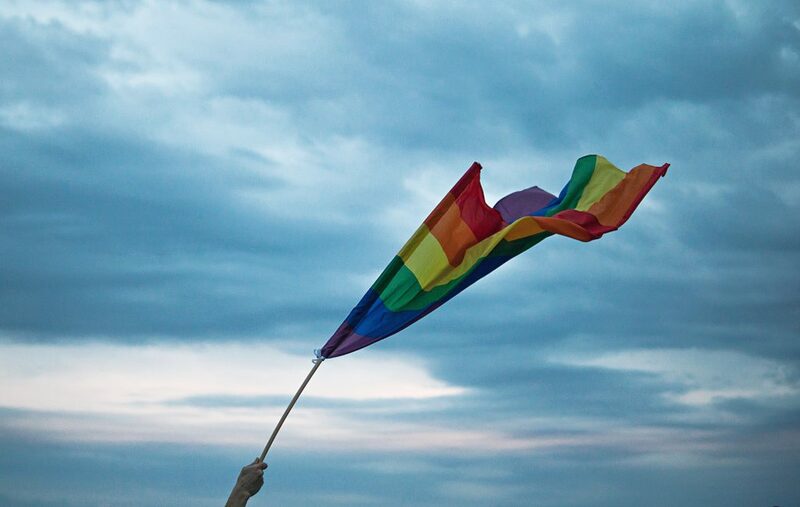 Gay men and transgender women are targeted most frequently, though 88 percent of all LGBTQ people seeking asylum in the United States say they have been victims of violence in their home countries. Official government statistics on attacks against LGBTQ Central Americans are difficult to come by. However, Amnesty International estimates that 264 Hondurans were murdered between 2009 and 2017. Guatemala experienced 40 attacks in 2016. El Salvador suffered through 28 in 2017. Despite the rampant violence in their own countries, making it to the United States does not guarantee safety for LGBTQ asylum seekers either. The recent death of Camila Díaz Córdova, a transgender woman from El Salvador, is one horrific example of the U.S. asylum system failing the most vulnerable. Díaz Córdova, 31, applied for asylum in 2018 as part of a migrant caravan after receiving death threats in El Salvador. The threats against her life dated back to at least 2014, when Díaz Córdova first filed a report with El Salvador’s National Civil Police. Despite the credible evidence that she would be in danger if returned, the United States deported her back to El Salvador. Within months of her deportation, Díaz Córdova was killed. She died of injuries sustained during an attack in February 2019. Díaz Córdova was the second El Salvadoran transgender woman killed last month alone—another woman was murdered with a machete in early February. LGBTQ asylum seekers risk being deported back “to the hell from which they have escaped” when the United States does not take their claims of persecution seriously. This danger underscores the need for the United States to have a robust asylum system that pays critical attention to the plight of LGBTQ people around the world.